Some of these lenders also offer personal loans for fair credit. If you have good credit you likely have access to the best personal loans — a high FICO score can lead to lower interest rates and better terms. If you’re in need of a loan and you have been diligent about your credit, review these 10 personal loans that might suit your financial needs. Keep in mind that ultimately, however, you should look beyond the best personal loan rates when choosing a personal loan. Information accurate as of Nov. 21, 2018. LightStream is the online, consumer lending division of SunTrust Bank — and it promises it will beat any qualifying competitor’s rate. If you’re approved for a LightStream loan you could be funded within one day. You can apply for these competitive, fixed-rate loans online. With APRs starting at just 4.24 percent, it could be the best place to get a personal loan if you qualify. The Rate Beat Program promises to beat competitor interest rates by 0.10 percent. The Loan Experience Guarantee offers $100 to customers who are not satisfied with their loans. The fixed-rate loans have no fees or prepayment penalties. Best personal loan rates compared to competitors. All rates apply only if you use autopay — an additional 0.50 percent interest rate applies for invoicing. For this lender, the answer to “What is a good credit score?” is subjective and includes many factors. SoFi tries to satisfy borrowers’ growing financial needs from buying a home to saving money on student loans to advancing their careers. The company offers meet-ups and career counseling, which are nice perks. After approval, funds are generally available within a few days. SoFi offers loan forbearance and suspends payments if you lose your job. The product lineup also includes investing and wealth management resources, and career advising. A referral program pays you when you refer someone who funds a loan. To be eligible for student loan refinancing, you must have graduated from select Title IV-accredited universities or graduate programs and meet strict eligibility criteria. Data drives Earnest’s lending process, which the company says gives good credit borrowers more personalized interest rates. 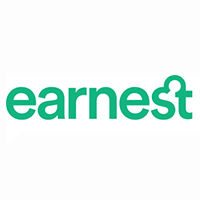 When Earnest evaluates its unsecured personal loans, it incorporates data regarding each applicant’s personal savings habits, education and earning potential. To get approved, apply for a personal loan online and provide information about your financial responsibility. Loan repayment terms are customized with Precision Pricing and based on borrowers’ budgets. Student loan refinancing rate quotes are available within two minutes. Loans are not available in all states. Loan eligibility frequently requires having at least two months’ of living expenses in a savings account. Payoff calls itself a financial wellness company that uses science, psychology and technology to improve its borrowers’ financial situations. The company applies behavioral strategies to help clients to meet their financial goals — and feel happy while doing it. Payoff’s Member Advocates help you achieve financial goals. The Payoff Loan can help consumers improve credit scores. Borrowers who paid off at least $5,000 in credit card balances saw an average increase of 40 points in their FICO scores within four months, according to a Payoff 2017-2018 survey. Loans are available in only 45 states. The loans have restrictions on how they can be used with a focus on paying off credit card debt. Discover Personal Loans can provide fast payment on personal loans and loan funds can be disbursed directly to your creditors if you’re consolidating debt. 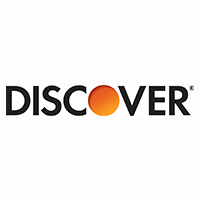 Discover provides loan calculators so you can figure out exactly what you’ll be paying. The loan cannot be used to pay for post-secondary education or to pay off a secured loan. Wells Fargo also offers a wide range of lending solutions, including secured loans and personal loans for credit card consolidation. The bank has more than 8,000 locations and borrowers can apply online, by phone or in person. Once your loan is approved and you agree to the terms, you can receive funding by the next business day. 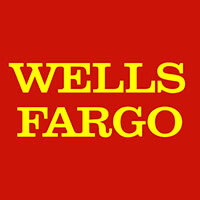 The Wells Fargo website offers an online loan rate and payment calculator, and a debt consolidation calculator. Discounts might be available if you’re a qualified Wells Fargo customer. If you’re looking at personal loans for excellent credit, you might find lower interest rates elsewhere. Upgrade is an online lending platform that harnesses the latest technology to reduce the cost of credit for customers. Upgrade also aims to help consumers better understand their credit and make better financial decisions by giving them access to helpful products and tools, including free credit monitoring, alerts and educational tools. Once you accept a loan offer from Upgrade, funds will be sent to your bank via an ACH transfer within one business day. It also provides some of the best personal loans for fair credit. Find out if you’ve been approved within seconds. You can change your payment date to fit your budget. 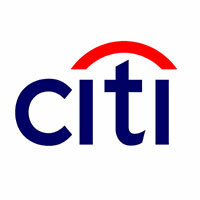 Citibank has a large number of financial products, and its personal loans fit a variety of needs. You can choose between fixed-rate personal loans as well as personal lines of credit. Products vary per state and the website enables you to choose your state to compare personal loans. You can get approved for a Citibank personal loan quickly and receive funding within five business days. The bank has nearly 700 branches across the U.S. for additional service. You might find lower rates from other lenders if you have a high credit score. TD Bank has locations across the eastern part of the U.S. At its branches and online, TD Bank offers a suite of personal loan products. You can consolidate credit card debt, fund a vacation or pay for home improvements with a TD Bank personal loan. If you opt for the TD Express Loan, after your approval, you can typically receive funds within two business days. If you need $25,000 or less, you might qualify for a TD Express Loan, which comes with expedited loan processing and funding in as few as two days. Use autopay and get a 0.25 percent interest rate deduction. TD offers a personal unsecured line of credit. General loan information only available after selecting from limited state options. You can’t use the loan for educational expenses. The interest rates are higher than some competitors’. 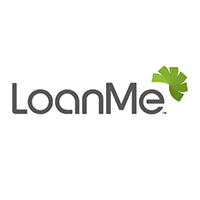 LoanMe provides funding for debt consolidation or one-time expenses. The application takes five minutes to complete, and you can receive funds as soon as three to four hours after approval. You can change your mind within the first seven days, and return the borrowed funds with no fees or prepayment penalty. After approval, you might receive funds the same day. Loans are available only to California residents. Lower fees and interest rates are available at other lenders. Click through to read about the best personal loans for debt consolidation. Methodology: GOBankingRates.com identified the best personal loans by analyzing monthly minimum credit scores, loan amounts, loan terms and fees. All fees and rates are accurate as of Nov. 20, 2018, and are subject to change at the financial institutions’ discretion. Some bonus offers might no longer be available on the financial institutions’ websites, depending on how you access the web page. GOBankingRates is a personal finance and consumer interest rate website owned by ConsumerTrack, Inc., an online marketing company serving top-tier banks, credit unions, and other financial services organizations. Some companies mentioned in this article might be clients of ConsumerTrack, Inc., which serves more than 100 national, local and online financial institutions. Rankings and roundups are completely objective, and no institution, client or otherwise, paid for inclusion or specific placement. Any opinions, analyses, reviews or recommendations expressed in this article are those of the author’s alone and have not been reviewed, approved, or otherwise endorsed by the companies included in the article. Minimum Credit Score: Not all applicants who meet SoFi’s minimum credit score requirements are approved for student loan refinancing. In addition to meeting SoFi’s minimum eligibility criteria, applicants must also meet other credit and underwriting requirements to qualify. Read this guide on how to buy your first car and have a stress-free car-buying experience.